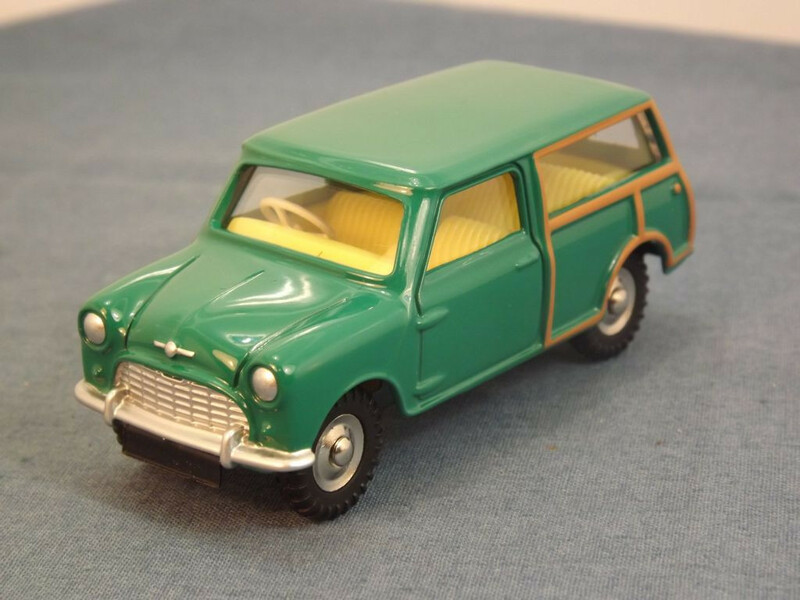 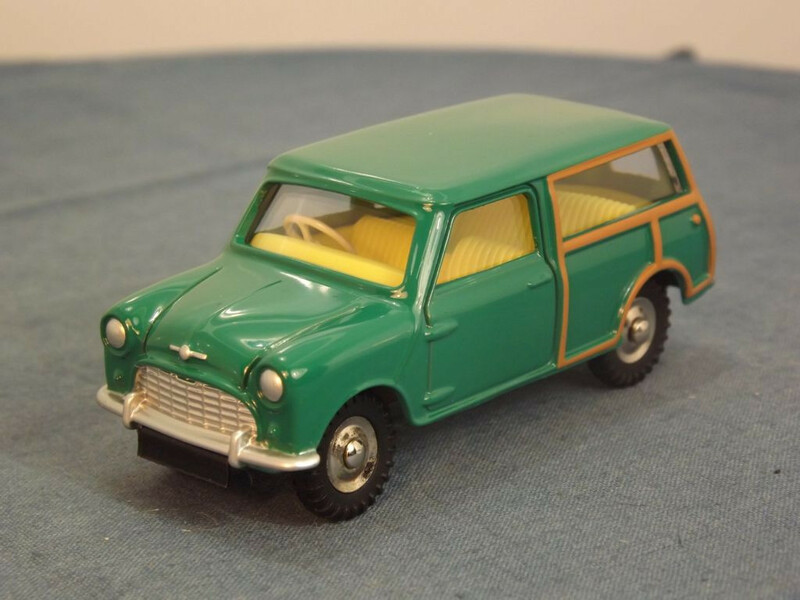 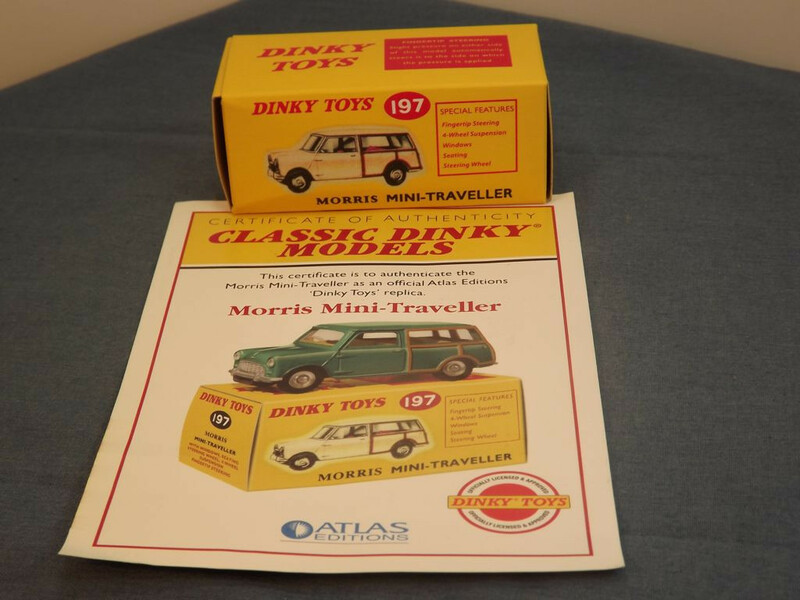 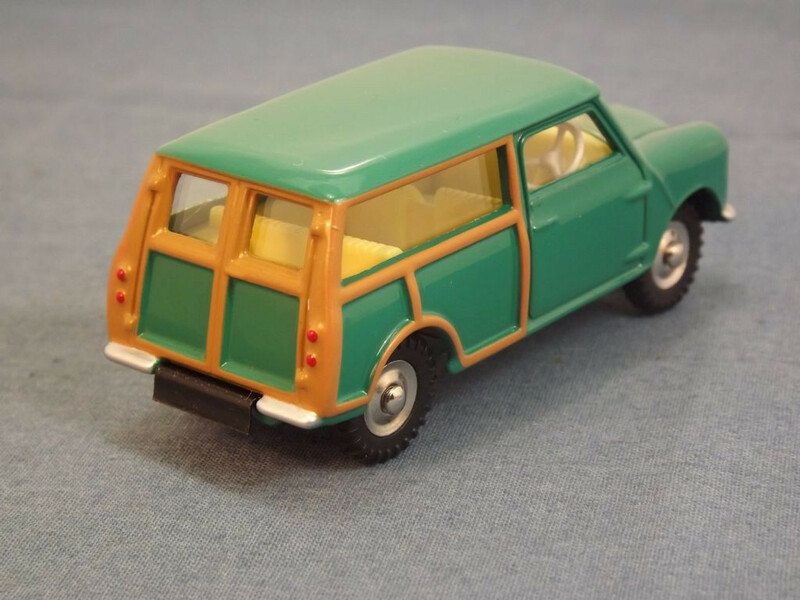 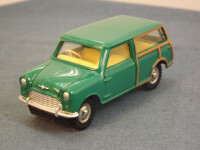 This model is the Editions Atlas Dinky 197-H-4 Morris Mini Traveller in dark green with brown timber effect, yellow interior and spun hubs. 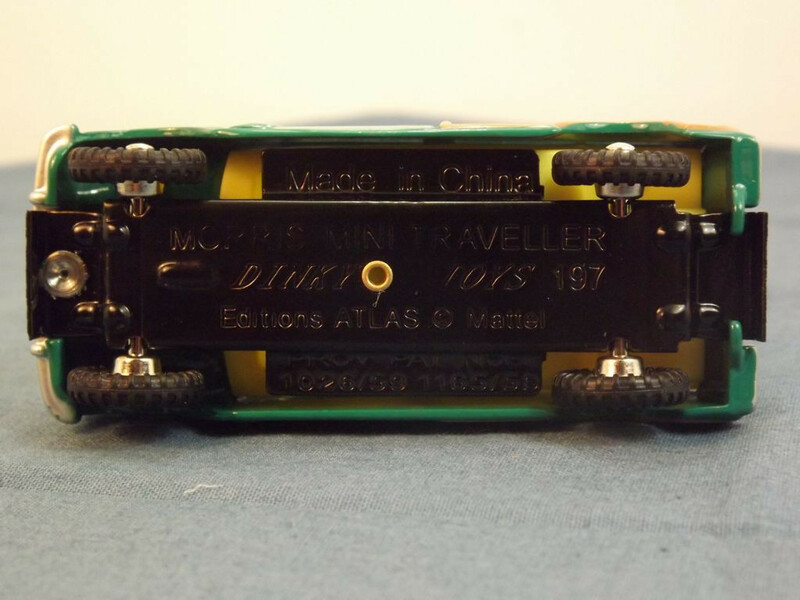 The Atlas issued box carries no coloured dot on the end flap. 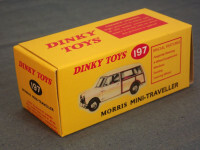 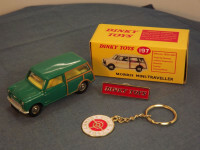 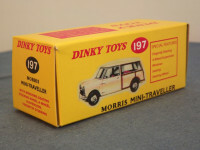 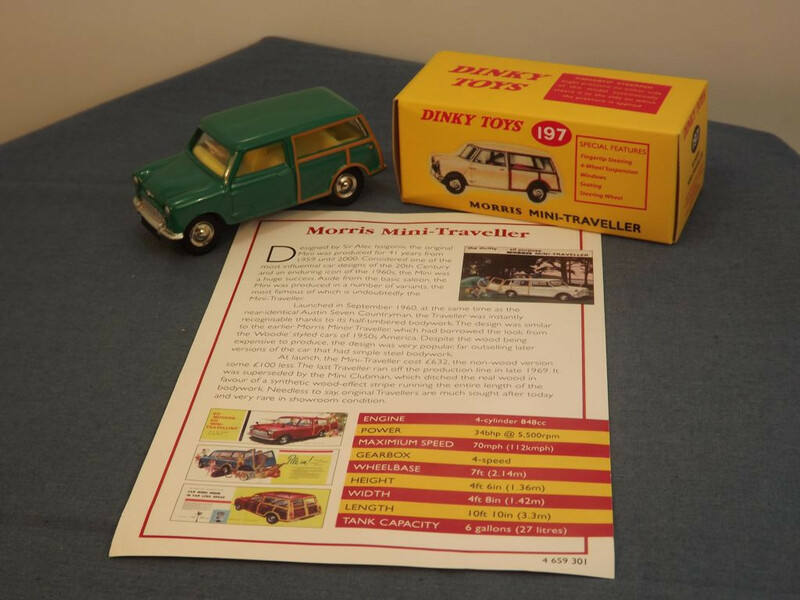 It comes with a red and silver lapel badge reading "Dinky Toys" and a white, red, and gold key ring with "Club Dinky Toys" on it. 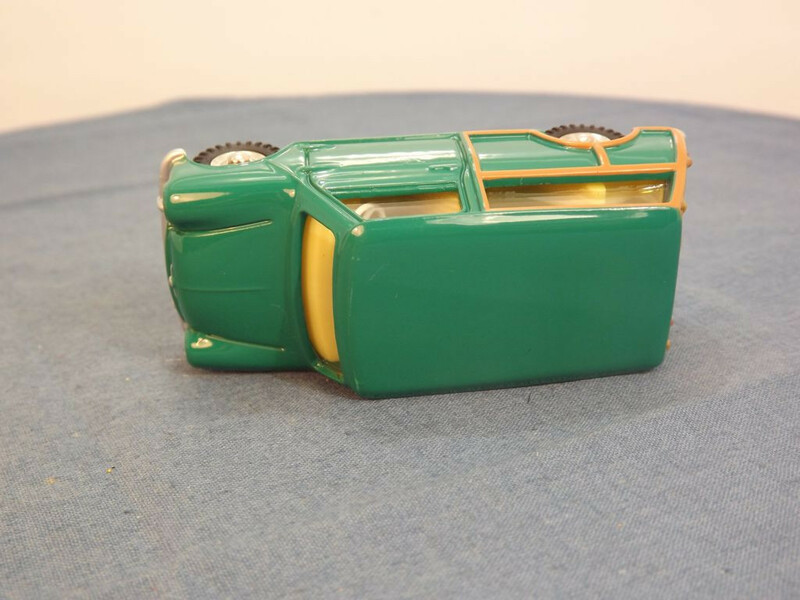 There are no opening parts on this model, all detail such as the bonnet, doors, grille and lights being cast into the body casting. 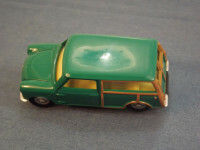 The vehicle is adorned with silver painted grille and headlight lenses to the front, and red tail lights to the rear. 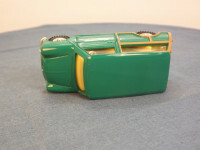 The front and rear bumpers are also painted in silver. 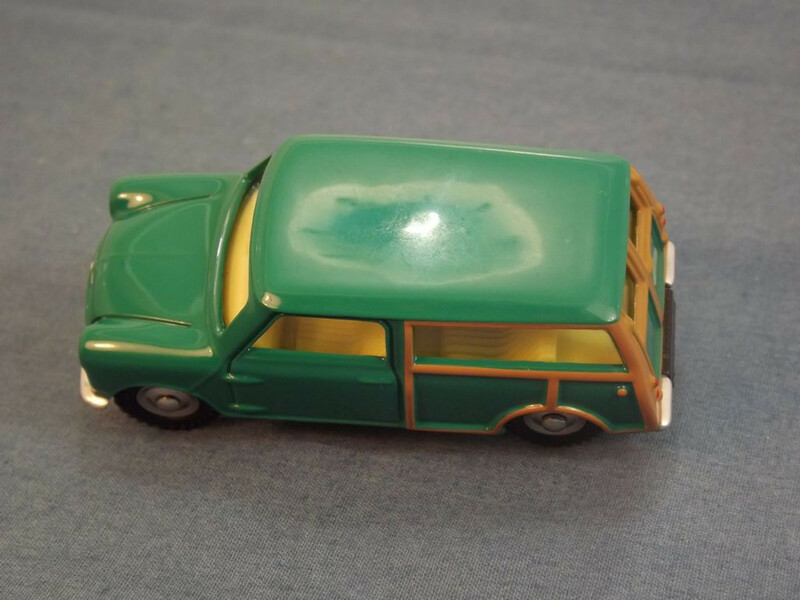 The interior is all yellow and there is a cream steering wheel set into the "dashboard". 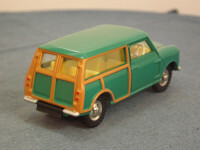 All glazing is clear. 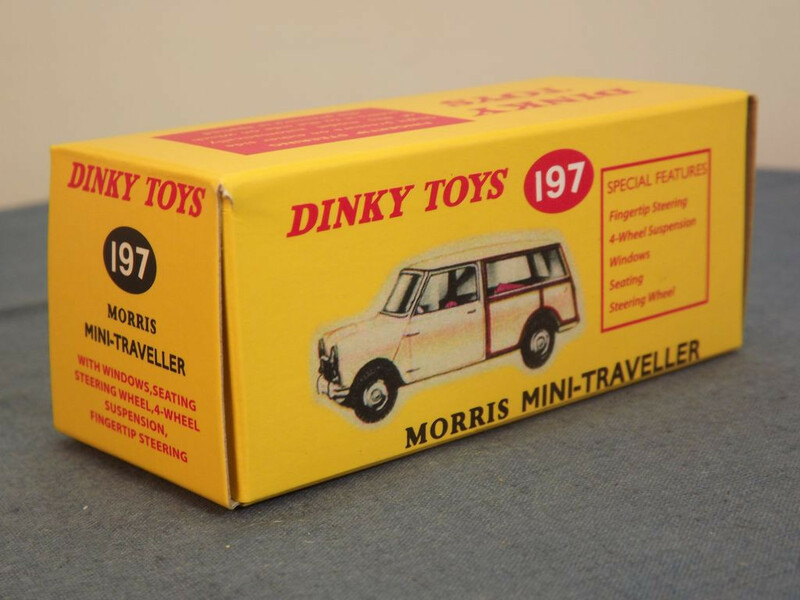 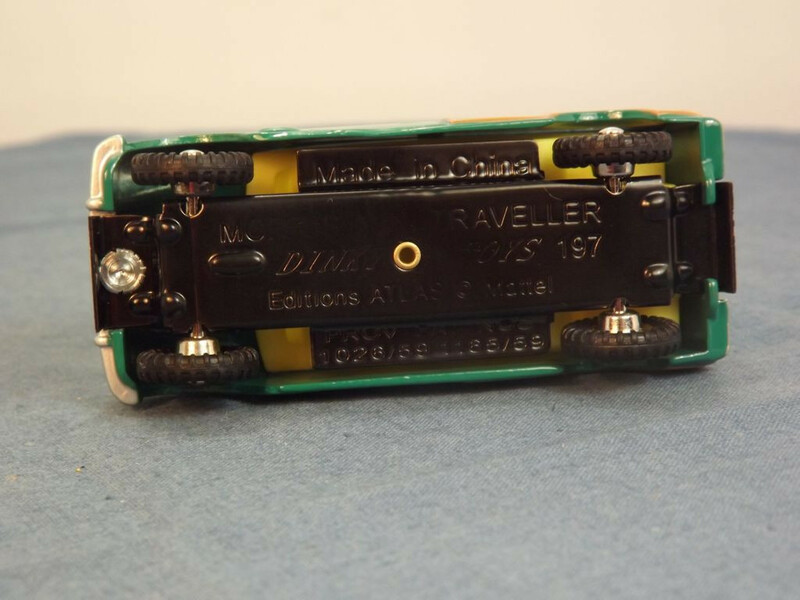 The base plate is black painted tinplate metal that carries the legend "Made in China" to the centre top, "Morris Mini Traveller, Dinky Toys 197, Editions Atlas © Mattel" on three lines in the centre middle, and "Prov Pat Nos, 1026/59 1165/59" on two lines at the centre bottom. It is held in place by a body locating lug at the rear that doubles as the rear number plate, and a single machined rivet at the front. 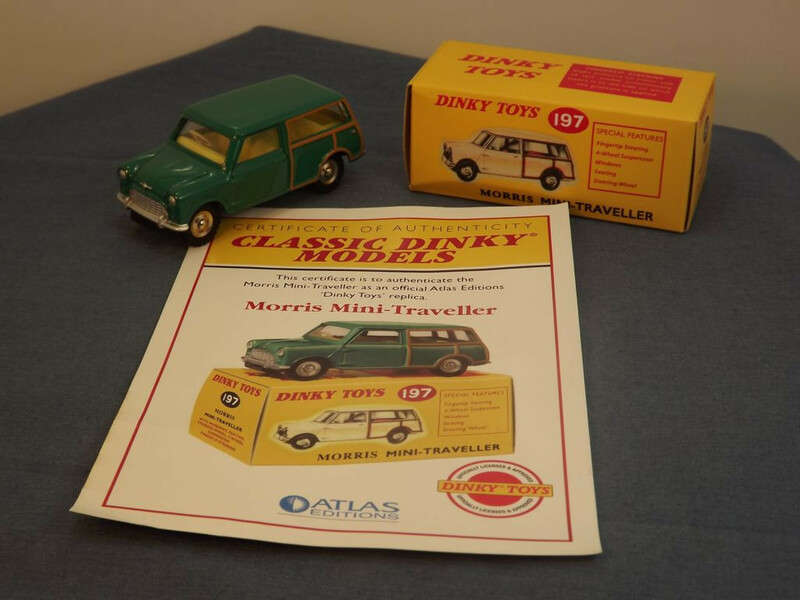 This model is the Editions Atlas Dinky 197-H-4 Morris Mini Traveller in dark green with brown timber effect, yellow interior and spun hubs. The Atlas issued box carries no coloured dot on the end flap. 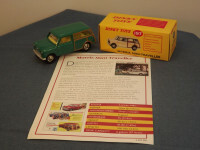 It comes with a certificate of authenticity, but no badge or key chain.